In our occasional Second Look feature, contributors reconsidered an article in a previous edition of Magonia. 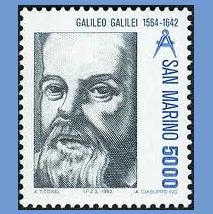 Here Robert Morrell looks at John Harney’s 'The Galileo Myth' which appeared in Magonia 21. Robert Morrell: John Harney is to be warmly congratulated for his splendid vindication of the action taken against the scientist Galileo. It was truly shocking that this man should permit his own “argumentative character” and the fact that he was “insensitive” to “other considerations” to dictate his actions. He should have realised and appreciated the fact that only the Church was allowed to act in such a manner. Perhaps he should simply have written his ideas down in a code, as da Vinci did, in a private notebook and so ensured that they would be forgotten until relatively recent times. After all, you cannot have a mere mortal with his puny ideas challenging the accepted tenets of divine revelation, backed by the infallible authority of the Church. Galileo could thank himself lucky that the Church in her infinite humanity did not burn him at the stake as she regretfully had to do with other upstart scientists like Bruno. He could though have waited, like Copernicus, to publish his ideas when he was near to death and so to allow God to judge whether it was to be heaven or hell. Mr Harney is quite right to stress that the Church leaders were primarily concerned to protect “the spiritual welfare of millions”, whether they could understand the implications of Copernican cosmology or not, and not mention the erroneous possibility that political and economic power, plus the challenge of Protestantism might have entered into consideration. Urban VIII of blessed memory may have been a notorious nepotist, so the enemies of the Church charged but surely it was matters spiritual not material which determined his opposition to the cosmological ideas Galileo championed? After all, he had supported Galileo in the past – over a dispute about bodies in water, not cosmology, it is true. As Mr Harney is quite right to point out, when the Domincan father, Tommaso Caccini preached a violent sermon against mathematicians in general and Gallileo in particular, the head of his Order apologised to Galileo – of course, he also promoted Caccini at the same time, but that is another story. Galileo did not, as is pointed out, reply to, or contradict Tycho Brahe; well, I suppose we can pass over as irrelevant the criticsm in his Discourse on Comets and his extensive manuscript notes in another work (unpublished), and exclude consideration of the ultimate fate of Brahe’s cosmology, which was partially Copernican, though leaving the earth . as the centre of the universe and so wisely deflecting theological criticism. We might also ignore the fact that Brahe attempted, via G. V. Pinelli and Frances Tengnagel, to ensnare Galileo into getting him to write a eulogistic biography of Brahe so that the latter could land a plum job with the Holy Roman Emperor. It was unfortunate that Galileo found out about the ruse and tended to ignore Brahe from then on. It is wise to think that this affair played any part in Galileo’s thinking about Brahe, so perhaps that is why Mr Harney so wisely refrained from mentioning it. It is said that the proof of the pudding is in the eating, and we can see at the present point in time how the unfettered progress of science has destroyed “spiritual welfare” all over the world, allowing heretical such as those published even in Magonia to be freely discussed without penalty on those who preach such error. Look at the fate of the Anglican Church in Britain and the awful situation the Catholic Church found itself in in France, for was it not the popular acceptance of Copernican cosmology following the publication of Discovery of a World… (1638) and A Discourse concerning a New World… (1640), both written by John Wilkins, an Anglican bishop, believe it or not, in England, and Bernard le Bovier de Fontenelle’s Entretients sur la pluralitie des mondes (1668) in France, which was to lead to the destruction of the “spiritual welfare” of both nations? Yes, Mr Harney is right, the Church acted wisely in seeking to curb the free play of ideas. How dare the Galileos of the time demand and expect freedom of thought and expression. The Church has ways to curb such license, as Galileo and others have found. 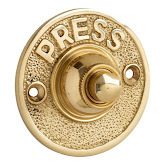 It is a pity the world has failed to grasp how wisely the Church acted; however there are some commentators, Mr Harney being one, who have recognised the truth and realised that free speech is an insidious evil which the Church has a God-given right to curb. John Harney replies: It is obvious from Robert Morrell’s's comments on my article about Galileo that he subscribes to the thesis that science and religion are logically incompatible and fundamentally opposed to one another. He thus sees science as winning the battle today, whereas in Galileo’s time religion had the upper hand and was struggling to maintain its position. This is a thesis which I do not accept and, anyway, the Galileo case can hardly be cited as a good example of it. The controversy took place within the Church, not between the Church and a group of agnostic scientists. The Church did not attempt to prevent Galileo from publishing his scientific discoveries and theories; it objected to his assertion that his model of the universe was the true one and that the teachings of the scholastic philosophers – based on the ideas of Aristotle – were false. The Pope and his cardinals were in some difficulty here because of the way in which interpretations of religious doctrines had become entangled with Aristotelian philosophy. However, they did not consider that it was Galileo’s place to untangle the mess. They were well aware of the new theories and their implications, but their approach was one of great caution. Cardinal Bellarmine expressed this caution in a letter to Paolo Foscarni, who had sent him a copy of his book defending the Copernican system. Dr Morrell is quite right to suggest that “political and economic power plus the challenge of Protestantism might have entered into consideration”. It would indeed be absurd to suggest that the churchmen of that time (or any other time) were morally perfect and never swayed by worldly considerations. There is no justification, however, for taking the opposite extreme view. The progress of science today depends very little upon the current state of religious belief and scepticism. However, its progress is hardly “unfettered”, as Dr Morrell suggests, being constrained these days by economic influences, and in some cases by the demands of political, rather than religious dogmas. Freedom of speech can never be absolute for any individual, as it is always constrained by the need to consider the rights of others and by current ideas as to what is or is not acceptable. These constraints vary from age to age, as do official constraints. For example, modern writers need not be worried about the Inquisition, but they may need to consider the provisions of the Official Secrets Act.